Wukong is a character from one of my current favorite video games known as the League of Legends, or known more commonly as LOL. Today, I will be talking about the resemblance between this monkey character and my Hanuman. First, I will address the stories of both these characters in short. To make a long story short, Wukong was a strangely human like monkey who is found by a character named Master Yi. As the monkey was extremely intrigued by combat, Master Yi taught him the art of Wuju, an art used by most characters in the game. 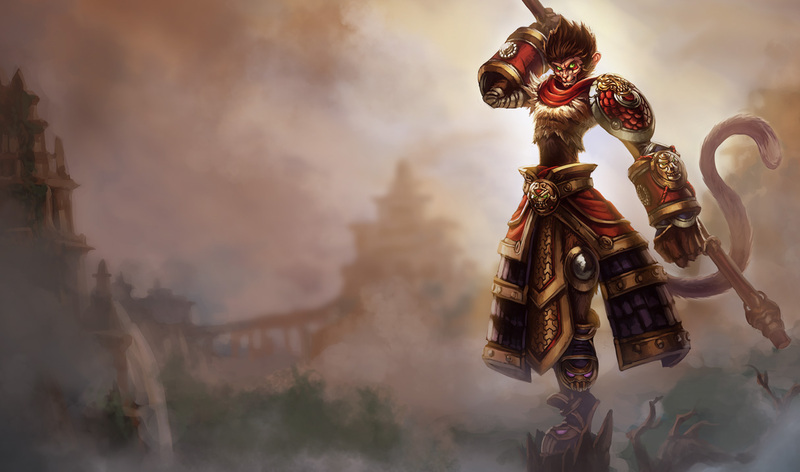 Later on, Wukong loved the art of battle and enjoyed its thrill as he joined the League of Legends, a tournament style game used to settle disputes between certain countries in the league of legends universe. As Wykong joined the league of legends to fight, he found out that there were all kinds of stronger characters in the league . But Wukong was pleased by it because as he knew if he was already on the top, there would be nowhere further to go. from Indian mythology and since I am Indian, one of my childhood characters. His basic story is the son of the God of Wind. Don’t ask me why he was a monkey he just was. Apparently, when he was little, he was flying around like most babies do and then he flew too close to the sun. The only question I have is, wouldn’t he suffocated before he even reached halfway to the sun? Due to the factor that space doesn’t have really air? He got burnt and plummeted to the earth. His primary story is that he helped King Rama (a god with a bow and arrow) battle the supposed demon king Ravan (a guy with ten heads, honestly, it really creeps me out; I am not sure why it didn’t creep me out when I first heard of the story. Maybe I was a tough thug when I was 2, but I don’t know) and rescued Lady Sita, Rama’s wife who was abducted by Ravan. During battle, there is a cool story. Lakshman, Rama’s brother was hurt and needed a herb to be revived. The battle was in Sri Lanka, but the herb was in North India. So basically, Hanuman flew with his magicz and went to the mountain, but couldn’t find the herb, so carried the whole mountain and flew back to Sri Lanka. He gave the mountain to eat. Maybe I threw the last part in, but you get the point. So Hanuman was a devotee of Rama. And he was a strong, courageous god, apparently. 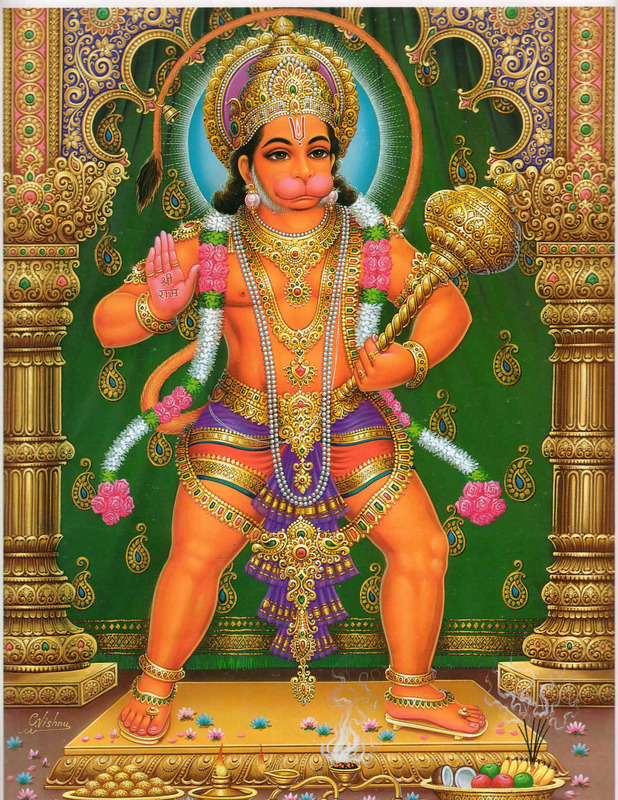 When I was very young and believed the stories that my grandparents told me as real, Hanuman was my favorite God, out of the many. Now that we have run through all the shenanigans, lets go into the real stuff. It is quite obvious that Wukong was based off of Hanuman but there are some differences. I feel that Wukong resembled more of a monkey than Hanuman. Hanuman was completely clean shaven and didn’t resemble a monkey that much. He was more human than monkey. Whereas, Wukong, in my perspective looks a lot like a monkey and is covered in hair unlike Hanuman. And their weapons were different. As Hanuman held a golden mace in battles, going around smacking demons in da face, Wukong was a bit less hulk smash style. As he held his staff, he used more decisive and strategizing attacks. As he could create decoys of himself from his Wuju experience and he becomes invisible for an extremely short time. This would be extremely useful for strategies to get out of tricky situations. Or being able to trick his opponents. And just for fun, I would like to explain how it can be extremely entertaining just to play Wukong. With the decoy, the decoy ends up standing still while you go invisible. Although it can be very good, people have known about this and realize that if they just see him standing there, it means that is a decoy right there. Now the fun way is to just stop in your tracks and stand there like an idiot, and the opponents will think you are a decoy. Once they think that, they will go around searching for you and right then, at that perfect moment, you can use your actual decoy to run away. Wukong has gold armor that is in someway similar to Hanuman. But the main difference is in the combat style that I just talked about. How Hanuman goes straight and smashes his mace into enemies, Wukong uses more strategic and decisive moves. Who would win in a battle between them? I don’t know but maybe you do. Please share your opinion in the comments. I would love to hear them. I really would. What about the similarity and differences of personality and character development of Wukong and Hanuman. Can give example of what kind of similar magic powers and fighting ability between Hanuman and Wukong? The Chinese have a story about a monkey named Sun Wukong, the Handsome Monkey King. I would say the game character is more based on that legend than on that of Hanuman. Yes. Briefly after that in fact, I looked deeper into the lore of Wukong and found out about that. My post was less about the origins but more about a comparison of a character from my childhood. Hanuman/Sun Wukong is the Monkey King.